The Coachella Valley Music and Arts Festival has announced the dates for its 20th anniversary and how to get pre-sale tickets. The festival is also offering a new upgrade for car camping. So when is Coachella 2019? The festival happens April 12-14 and April 19-21 at the Empire Polo Club in Indio. As it has done in recent years, promoter Goldenvoice will put a limited number of passes on sale early. 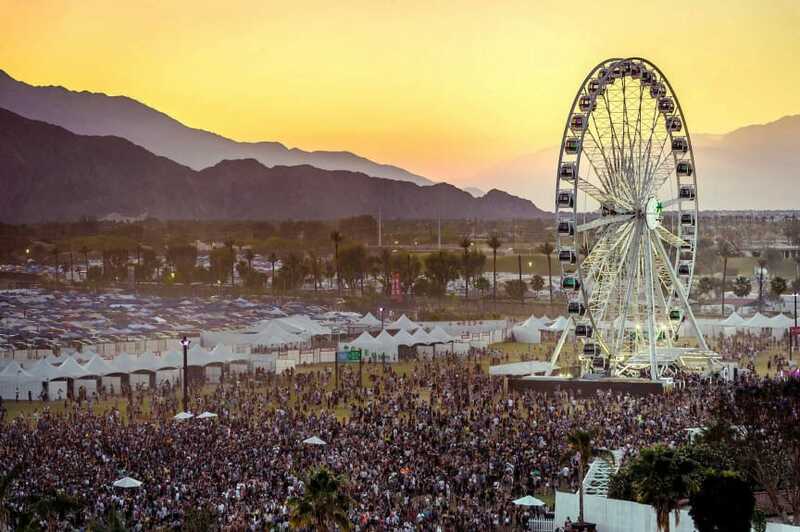 This year you can get Coachella 2019 passes for Weekend 1 and Weekend 2 starting at 11 a.m. Pacific Friday, June 1. General admission passes are $429 for the weekend and go up to $504 for the inclusion of a shuttle pass. A VIP pass is $999 and preferred parking (formerly known as VIP parking) is $150. Regular car camping is $125 for a pass but for $325, preferred camping gets you in the lot closest to the Ferris wheel (and closest to the festival entrance). If you pony up for the preferred camping, you don’t have to line up as early to get the prime spots. Tent camping is $125. Camping companion parking is $60. The Lake Eldorado luxury camping starts at $2,458 for a two-person teepee and two general admission passes and goes up to $5,600 for a four-person tent and VIP passes. Ultra luxe Safari camping starts at $8,500 and includes WiFi and guest passes to the festival, among other perks. Other things available to purchase in the pre-sale include shuttle passes for $75 and a one-way airport shuttle pass from LAX for $70-$80. The pre-sale is the only time you can do the payment plan for tickets. Typically, Coachella doesn’t announce the lineup for the festival until January. However, the pre-sale for 2018 had a little bit of an advantage since everyone knew Beyoncé was going to be there.